Photography has become one of my favorite hobbies. I am far from a pro, much more like a beginner/enthusiast. One of my favorite subjects is buildings and the geometric forms of big cities, with skyscrapers, textures and vanishing points. I am always looking for references and inspiration on sites like 500px, Behance and Flickr. There is where I found the work of Michael-Bies, a photographer from Landau Palatinate, Germany. 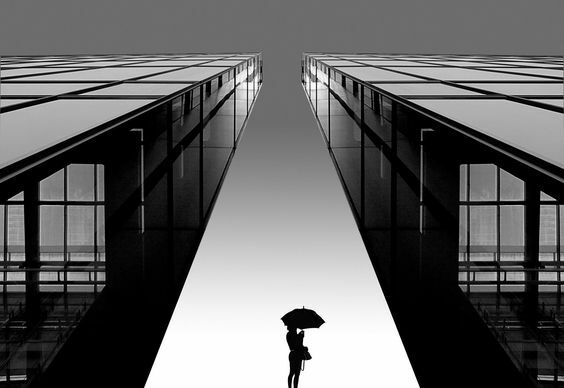 He has some incredible black and white photos of urban and architecture subjects. I selected some of my favorites. Look at the simplicity of the composition and the effect created by the textures. Daily Design Inspiration AoiroStudio Jan 10, 2018 Part of the Daily Design Inspiration series that started it all on Abduzeedo….